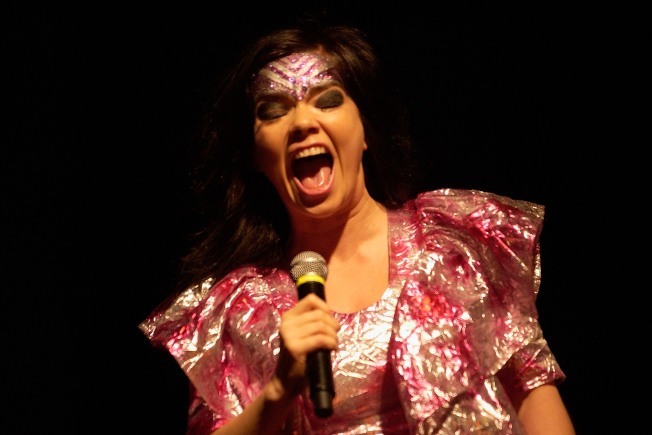 Bjork's playing a benefit show at Housing Works Café Bookstore on May 8. Which is what makes her May 8th benefit show at the Housing Works Café Bookstore such a treat. Not just that: She'll be performing a never-before heard work with the buzzy band The Dirty Projectors (late of a collab with David Byrne on the new disc Dark Was the Night, whose proceeds go to AIDS research). It should be insane, brilliant, and good fun all rolled up into one. The catch? Tickets are $400 -- but 1) that gets you a prime balcony seat, plus open bar and buffet from Whole Foods, 2) you're helping Housing Works in the fight against AIDS and homelessness, and 3) it's tax deductible! Get tickets over at the Housing Works website.